As with most foreign travel, vaccines are required to protect you from serious disease and infection, and although vaccines needed to travel to China are few, they play an essential role in ensuring safe travel. 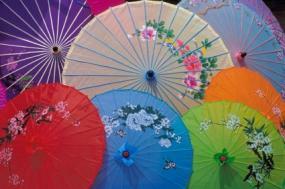 As soon as you have organized your trip to China, it is necessary to embark on a course of foreign travel vaccinations. You must first find record of your current vaccinations, even as far back as childhood immunization. Dependant on your age at the time of travel, some vaccinations you had during the school years are likely to be 'valid' for your foreign travel. Make contact with your local doctor. The nurse will be able to look back through your vaccination record and confirm those that you have received in the past. If you have traveled previously, the vaccinations will also be recorded. If you are unable to obtain accurate vaccination history, don't panic. If you have gone through mainstream education, then it's more than likely you have received immunizations such as 'diphtheria' and 'tetanus'. These are usually always recommended as part of the travel regimen. In the case of 'additional' vaccinations, it is advisable to have a course again, particularly if it is ten years or more since you last traveled abroad. When planning vaccination cover for travel to China (or any foreign country), it is advisable to allow, where possible, six weeks before travel to receive required vaccines. 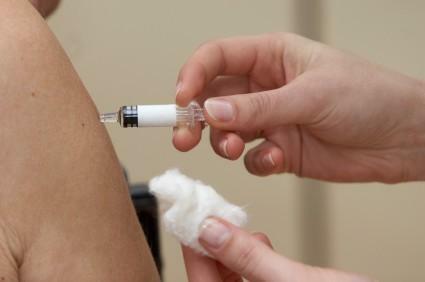 Many vaccines take several weeks to become effective, and if a course of injections is needed, then this is likely to be given over a period of few weeks. Tetanus - this is necessary as you acquire Tetanus via a simple cut or scratch. Hepatitis A and typhoid - these infections can be easily contracted through poor food and water hygiene. Countries such as China can have primitive hygiene practices, particularly in remote dwellings. Diphtheria - spread through water droplets. Close contact with local residents in poverty-stricken areas, can pose a risk of infection. If you are traveling purely in the capacity of a 'tourist', remaining in relatively well populated, poverty free areas, and then the above vaccinations are likely to be adequate for your trip. However, for those traveling to rural parts or planning to work in the country, other vaccinations may be necessary.Cholera - A disease transmitted via contaminated water and food. If on your trip you are planning to eat in relatively safe establishments, this vaccination will not be necessary. Those visiting or staying in less established communities, like charity workers, should have the vaccine. Japanese Encephalitis - A disease spread via mosquito bites. If acquired, Japanese Encephalitis is a virulent illness. It is recommended for those staying in 'rural' areas, or for those remaining in the country for four weeks or more. Be aware that this vaccination requires a course of injections, over a period of weeks. Hepatitis B - Transmitted via the same route as HIV, Hepatitis B is only a risk to those traveling for the purpose of work or those traveling to highly infected areas. This immunization also requires a course of three injections over a period of weeks. Rabies - This infection is rarely a risk to the tourist. If planning to work in rural areas where wild animals may be present, then vaccination is recommended. Those planning to travel to the country with the specific intention of working with animals must be vaccinated, without exception. Supplementary to those vaccines needed for travel to China, it is occasionally recommended that anti-malarial treatments are taken for the trip. Malaria is contracted via mosquito bites, and a few areas of the country remain highly populated with them.Prevention of mosquito bites is equally as important as treating the bites themselves. Covering up exposed skin, such as arms and legs, particularly at night, will reduce the risk of bites. Over-the counter mosquito repellents are also a sensible item to take on any foreign trip. Apart from the obvious reduction in infection risk, it is always beneficial to have the required courses of vacation vaccinations, as these can give you cover for many years to come. Many of the necessary vaccinations are recommended for most travel destinations, therefore undertaking one, or courses of injections is a small sacrifice. Do be aware that some vaccinations require 'booster' doses. If a person has these boosters, then their level of cover will be maximized for several years.